AFTER three decades, five Presidents, two People Power revolts, and two media revolutions with the dawn of video and digital age, DZSR Sports Radio 918 remains standing strong, proud, defiant, and ever ready to push forward and stay tuned to the times. 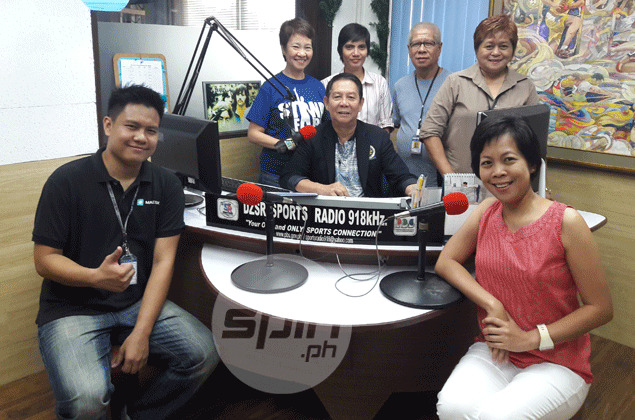 DZSR takes pride in its 30-year existence, the government sports station going to its fourth decade of service to Filipino sports fans still relevant despite the changing times. Station manager Rick Yap Santos noted that the ongoing coverage of the 2016 elections of the Philippine Broadcasting Service, to which DZSR is a part of, was a special milestone for the station as it is set to remain on air with another change of administration. Sports Radio was established on May 10, 1986 after DZFM was reformatted into a news and information station that was already covering sports. 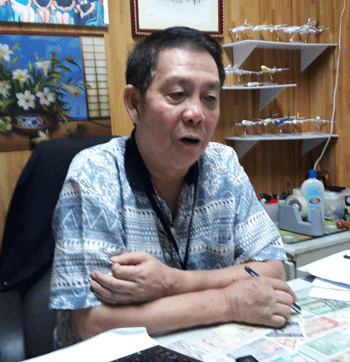 DZFM was later changed to DZSR on the 738 frequency with Reynaldo Roa as its first station manager. The station, however, reverted back to DZFM as a courtesy to frequency owner Frederick Marquardt, thus the name DZFM. But on March 1, 1996, Sports Radio moved to the 918 frequency and adopted the call letters DZSR by virtue of Memorandum Order No. 329 under Presidential Order No. 293. DZSR was home to several major sporting events, including the PBA, the defunct Philippine Basketball League, UAAP, NCAA games, and the Palarong Pambansa. It has also covered the Southeast Asian Games, Asian Games, and the Olympics. Cycling coverages were also the bread and butter of DZSR Sports Radio, having broadcasted the races dating back to when it was still named Tour of Luzon and Marlboro Tour with a coverage team led by the legendary voices of the late Earl Sapilino, Bar Samson, Bal Domingo, Maeng Reyes, Ed Badua and Santos himself. DZSR also served as the launch pads of the sports journalism careers of SPIN.ph writers/ columnists Ed Tolentino and Snow Badua, among others; served as the home of Webb delos Reyes, Romy Kintanar, and boxing analyst Edwin Sese; and over the years hosted shows and segments by veteran journalists like TJ Manotoc, Sports5 head Patricia Hizon, Beth Celis, Tito Talao, and Dave Coros. The formula for DZSR’s longevity, Santos believes, is in its purpose. Like other government agencies, Sports Radio has always been about public service, often devoting air time to bring noteworthy events to the masses. Find sports events that get little air time and exposure in traditional media. More often that not, DZSR is there to bring the news. “Iba ‘yung aming medium eh. Dati, exclusively English ang medium, pero kami Taglish, which makes us a little closer to the public especially sa mga kabataan. Isa pa sigurong dahilan is we continue to exist because public service kami and that’s a big deal for us,” said Santos, explaining that their unique edge as a public station is their dedication to complete coverage of sports events. “There are private stations who try to get into sports but the thing there is ‘yung limitation. Sa amin kasi, ang format namin, talagang we can devote the whole day for an event unlike others were they can only devote a certain portion of time and sponsors will pay for that. We can devote our services for free depende sa objective ng organizer,” he added. But it hasn’t been entirely smooth sailing for Sports Radio, though, the last 20 years more like a roller-coaster ride. One challenge is the current practice of most top leagues to charge for broadcast rights, giving the upper hand to private networks with the financial muscle to shoulder the huge costs. “Uso na ‘yung commercialism in sports where you can’t just penetrate without being accredited or recognized by the organizer. Most of the time, para nga naman may tulong sa kanila, nilalagyan nila ng fee ‘yung coverage rights also to help out in their expenses. That makes us different from the other outfits,” said Santos. Another hurdle for DZSR is its limited transmission that only hurts their reach especially at a time when social media is rapidly taking away from the audience of more traditional news outlets like radio. “As it is now, mahina ‘yung aming transmission power. Although we can be heard from Metro Manila to as far as Pangasinan and way down to Bicol, hindi kami maka-penetrate sa ibang parts of the country. If government will provide us with higher power, siguro we can serve a lot better,” said Santos. But sparse funding and radio's shrinking audience share in the age of digital media notwithstanding, DZSR, Santos said, will continue to be Philippine sports' link to the masses. It will continue to be relevant to taxi drivers and passengers wanted to keep abreast of the latest sports news during the morning rush hour, the farmer who toils his land with a transistor radio always close by, and listeners who have stayed loyal to a supposedly outdated medium. “We adhere to the traditional radio because we look at ourselves as serving the biyahero, ‘yung may mga hawak ng transistor radios, mga farmers, nandoon kami. Mas mabilis ang reach ng radio and that’s one big advantage para sa amin,” Santos said. Santos said DZSR has also taken appropriate steps to respond to the times. DZSR is adapting to the new technology via live streaming on the web through an application called PBSrAPPS where listeners can tune in from a smartphone. The current Sports Radio staff are Benjie Castro, Cecille Quimlat, Judith Caringal, Anne Vinas, Peter Paul Patrick Lucas, Ria Arevalo, Joji Cangco, John Mogol, Aaron Bayato, Letty Reyes, Mike Cervantes, Nida Soriano, Milo Dionela, Doy Clavecilla, Roselyn Aquino, Roland Delos Santos, Jessie Santos, Marlon Tantiatco, and Fortunato Flores.